If you know Danny Trejo then you’ve probably heard of Machete, an over-the-top, cheesy, violent film that aims to be exactly that and nothing more. The first 2010 film garnered a large amount of praise for its intentionally bad but enjoyable nature. The cast consisted of Trejo, Michelle Rodriguez, Robert De Niro, Jessica Alba, and Lindsay Lohan, with Robert Rodriguez and Ethan Maniquis directing. The sequel, Machete Kills, released three years later, failing to gain much praise or recognition despite a recognizable cast including Charlie Sheen, Lady Gaga, Sofia Vergara, Vanessa Hudgens, and Cuba Gooding Jr. But the most outlandish aspect of the sequel comes right at the end. At the end of the second film, there is a trailer showcasing Machete’s next adventure. With terrible special effects, all the returning actors, and a villain called “The Man in the Silver Mask,” it ends with the title card Machete Kills Again …In Space. Is it a joke, or is it the perfect evolution of the Machete brand? Following the tease, the potential project seemingly dropped off the map with no updates or news for years. Although not a definitive answer, it does at least show that Rodriguez hasn’t forgotten about the possibility of a third Machete movie. Screen Rant also reminds us that Rodriguez has finished and is currently busy promoting his new film Alita: Battle Angel, which might be a reason for Machete’s delay, but also means that his schedule will be a little lighter in the near future. 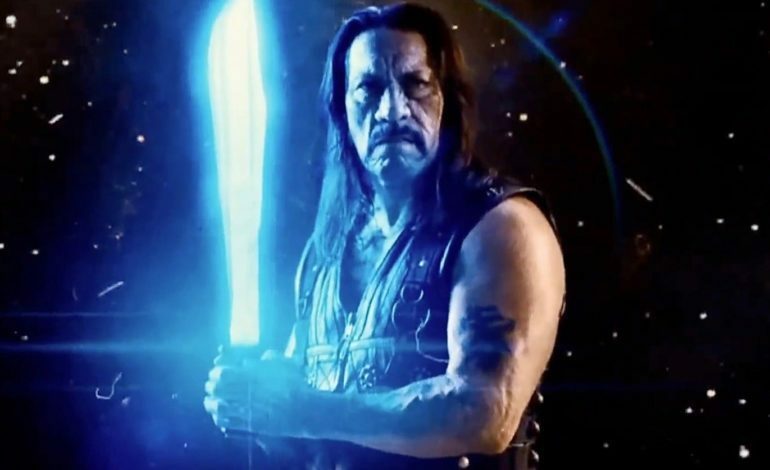 Though there is definitely hope for the anticipated action-comedy, fans will have to hold out a little while longer to find out if Machete will kill again in space.